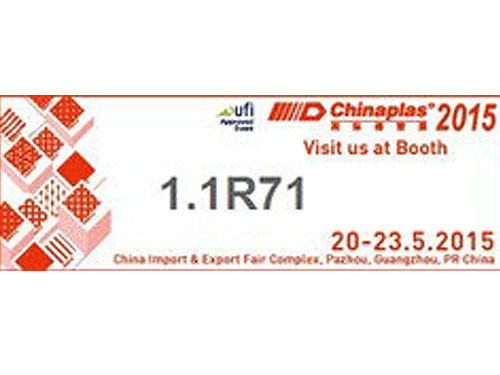 ANJI SCREEN CHANGER sincerely invites you and your company representatives to visit our booth 1.1R71 at CHINAPLAS 2015. Anji is specializing in manufacturing of melt filtration systems and screen changers for polymer extrusion industry..
Our products were exported to Singapore, India, Thailand, Korea, Japan, Philippines, Indonesia, Pakistan, Iran, South Africa, UK, Germany, Turkey, Spain, Bulgaria, Romania, Italy, Slovenia, Argentina, Colombia, Mexico, USA, Russia, and Australia, Peru, etc. Our products received CE certification in 2011. Anji would appreciate the opportunity to demonstrate the advantages of our products and services, and earn your satisfaction and trust. We do our best to support your business success.